Sanctuary Retirement Living properties are a type of independent living accommodation, sometimes referred to as extra care schemes, or assisted living, where you are in complete control of how you live your life. With level access throughout the building and gardens, and lifts to all floors, Sanctuary Retirement Living properties are specifically designed for people who are aged over 55, or people who have a disability or long-term care needs. 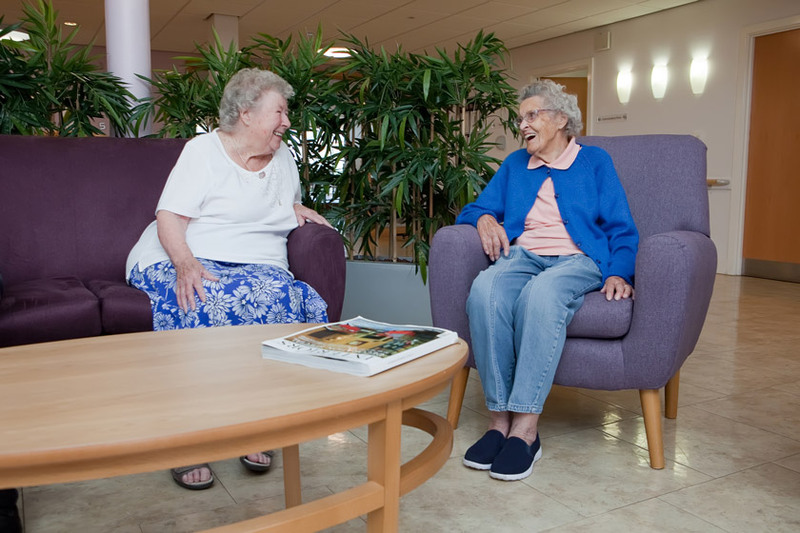 Choosing a Sanctuary Retirement Living scheme means you will have the security, privacy and independence of living in your own spacious apartment, and the peace of mind that the friendly onsite care team is on call if you need any care and support. You don’t need to be retired to live in a retirement living scheme, but you will need to meet our age and local connection eligibility criteria. Some retirement living schemes also have additional eligibility criteria, set by the local authority. For more information about eligibility and how to apply, visit our property pages. All our properties are unique, and each offers different facilities and care services, so it’s important to think about the lifestyle you’d like. Whether you have immediate care needs or are planning ahead for the future, choosing the right type of retirement accommodation is a big decision, and that’s why we believe that seeing the property for yourself is very important. If you’re thinking of moving to a Sanctuary Retirement Living property, you can contact the local manager, who will arrange for you to visit, meet the kind and caring team, and have a tour of the onsite facilities. Even if you’re not thinking of moving for a while yet, you can find out what life is like at Sanctuary Retirement Living by visiting one of our onsite Taste restaurants, or by joining in with one of our regular social activities and events. Although we can provide care and support for people with a range of care needs, Sanctuary Retirement Living properties are not suitable for people who require a substantial amount of nursing care, and a Sanctuary Care home may be more appropriate. Need more information about retirement living and extra care? If you’re not sure whether a retirement living scheme is right for you, visit our choosing retirement living page for information and advice about the benefits and advantages of retirement living (or extra care) housing for older people.